Cook became the 12th player in history to score 10,000 Test runs during England’s nine-wicket win against Sri Lanka at Durham last month but he is nearly 6,000 runs short of Tendulkar’s record aggregate of 15,921 runs from 200 matches. The left-handed opener, 31, broke Tendulkar’s earlier record of being the youngest to score 10,000 Test runs by more than five months. 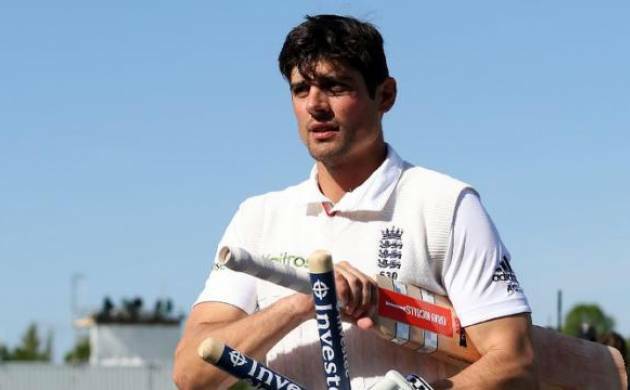 He might have beaten Sachin Tendulkar’s record of being the youngest to 10,000 runs but England captain Alastair Cook says he is well aware that he is nothing like the “incredibly talented genius” from India and has a long way to go before matching up to him. Cook, who has now scored 10,042 runs in 128 Tests, said Tendulkar’s record Test runs are a long way off for him as of now. Former India captain Sunil Gavaskar, the first man to score 10,000 Test runs, said last week that Cook had it in him to set a new aggregate record for most Test runs because of his age and the fact that England play more games over the long format than many other nations.